On Nov. 28, the U.S. Food and Drug Administration (FDA) announced the approval of Firdapse (amifampridine phosphate) for the treatment of adults with Lambert-Eaton myasthenic syndrome (LEMS). Firdapse, developed by Catalyst Pharmaceuticals, is an oral potassium channel inhibitor designed to prolong signals released from nerves and allow greater stimulation of muscles. This is the eighth treatment approved for a neuromuscular disease in the last three years and the first FDA-approved treatment for LEMS. LEMS is a rare autoimmune disorder in which the immune system attacks the body’s own tissues at the connection between nerve and muscle (the neuromuscular junction), interfering with the ability of nerve cells to send signals to muscle cells. LEMS is estimated to affect 3 people out of every 1 million individuals worldwide. LEMS generally affects the extremities, causing muscle weakness, especially in the legs and hips, which can ultimately lead to difficulty walking. Weakness in the eye muscles and those involved in talking, swallowing and chewing may also occur. In about 50 to 60 percent of cases, LEMS is associated with an underlying disease, particularly small-cell lung cancer. It is thought that the body’s attempt to fight the cancer inadvertently causes it to attack nerve endings because cancer cells share some of the same proteins as nerve endings. Firdapse was tested in multiple clinical trials in adults living with LEMS. The studies measured the effect of Firdapse on the Quantitative Myasthenia Gravis score (a physician-rated scale used to assess muscle weakness) and the Subject Global Impression scale (a scale where patients rate their overall impression of the effects of the treatment). Patients receiving Firdapse showed a greater benefit on these measures as compared to those on placebo. The most common side effects experienced by patients in the clinical trials were burning or prickling sensation (paresthesia), upper respiratory tract infection, abdominal pain, nausea, diarrhea, headache, elevated liver enzymes, back pain, hypertension and muscle spasms. Firdaspe can also cause seizures and is contraindicated in patients with a history of seizures. Catalyst in its press release also announced Catalyst Pathways, a free, personalized program that gives patients and their families access to one-on-one support throughout the treatment journey. The program comprises a dedicated team of support specialists, including a care coordinator, insurance navigator and patient assistance liaison, and a specialty pharmacy with experience supporting rare-disease patients. This support team also can help patients understand and access financial assistance if needed. In May, Firdapse was granted Priority Review Status by the FDA, which is given to drugs with the potential to address a serious condition or provide a significant improvement in safety or effectiveness in treating the disease. Previously, Firdapse has received both Breakthrough Therapy Designation and Orphan Drug Designation from the FDA for LEMS and has also received Orphan Drug Designation for congenital myasthenic syndromes (CMS) and myasthenia gravis (MG). Firdapse is currently being tested in a phase 3 trial for CMS as well as for a subtype of MG called MuSK-MG. Firdapse is also under development for spinal muscular atrophy (SMA). MDA has supported previous studies of Firdapse in children with CMS. Firdapse is currently available in the European Union and is commercialized by BioMarin Pharmaceuticals. In 2012, BioMarin licensed North American rights to Firdapse to Catalyst Pharmaceuticals. 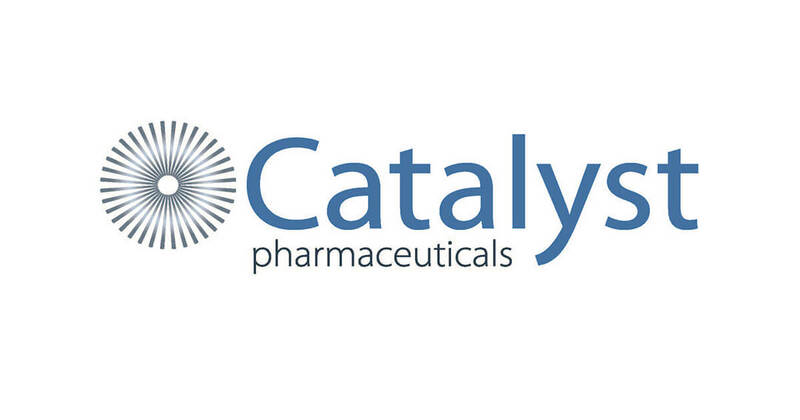 Catalyst anticipates Firdapse will become available in the first quarter of 2019. On Dec. 13, the company will host a conference call and webcast at 8:30 a.m. ET to discuss launch details. For those who cannot join, a copy of the webcast will be made available on their website after the call. Click here to read Catalyst’s press release announcing the approval.